Hundreds of people gathered at a vigil on Parliament Hill in memory of Loretta Saunders, an Inuk student living in Halifax who was found slain on the side of a New Brunswick highway last week. The 26-year-old Saint Mary's University student disappeared in Halifax Feb. 13. Her body was found two weeks later on a snow-covered median on the side of the Trans-Canada Highway west of Salisbury, N.B. Two people have been charged with first-degree murder in her death. Holly Jarrett, Saunders' cousin, spoke at Wednesday's vigil and said it was her cousin's disappearance that brought her and her estranged mother back together after a year of silence. Jarrett said Miriam Saunders, Loretta's mother, called her and pleaded with her to make up with her mother. "She explained that we're a family, and Loretta knew my mom and I didn't talk, and she would be very happy when she came home to know that such a good thing had come from her being missing," Jarrett told the crowd gathered on the steps of Parliament Hill. "I've talked to my mother every day since." Jarrett said Saunders' parents and the rest of their family are in Happy Valley-Goose Bay in Labrador and she wants to send a message to the Canadian government on their behalf. "In memory of Loretta's heart and her kindness and her courage, please stand behind me and demand answers from our government," she said. "We must not let this happen again without our government putting some serious effort — not simple placating gestures — into a public inquiry." 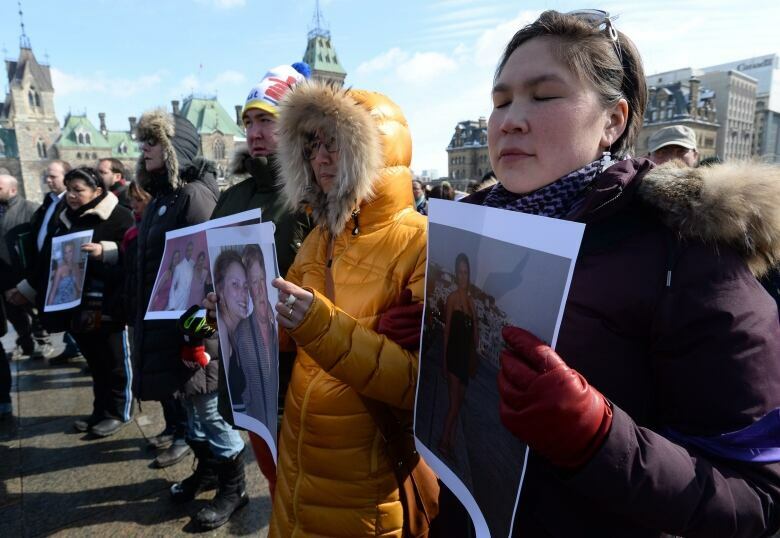 Pressure is mounting for a national inquiry into missing and murdered aboriginal women. The Native Women's Association of Canada recently presented the federal government with a petition, signed by more than 23,000 people, asking for an inquiry. Saunders was working on a thesis about missing and aboriginal women when she disappeared. It is estimated there are hundreds of cases of missing and murdered aboriginal women dating back to the 1960s. A United Nations human rights investigator called that statistic disturbing last year during a fact-finding visit to Canada in which he also urged the Conservative government to hold an inquiry. Victoria Henneberry, 28, and Blake Leggette, 25, who had been facing charges of being in possession of a stolen vehicle, have been charged with first-degree murder in Saunders' death. Halifax Regional Police Const. Pierre Bourdages said the autopsy on Saunders was performed Saturday in New Brunswick. 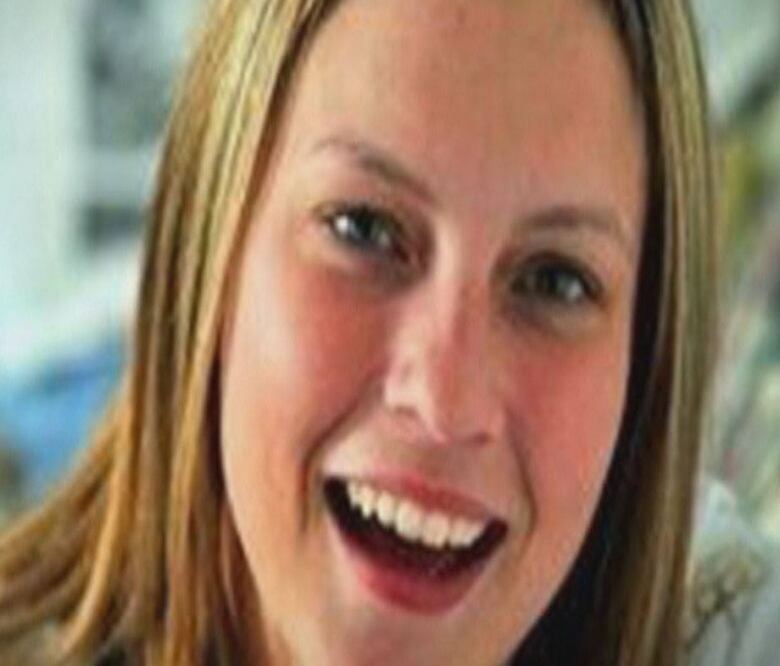 Her body has been released to her family. Bourdages said police will not be releasing information on the results of the autopsy while the case against Leggette and Henneberry is before the courts.